Jungle Vengeance, Berries, The Queen Ant! 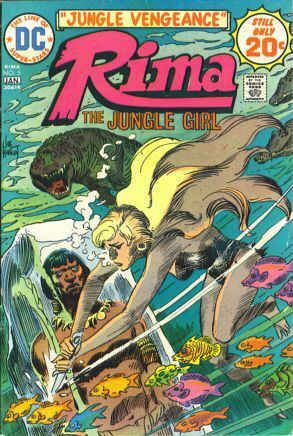 Joe Kubert cover, In "Jungle Vengeance," Rima and Abel come across a jungle man frozen in ice. When they investigate, they discover a man running a secret training camp. Script by Robert Kanigher and art by Nester Redondo. Issue also has Space Voyagers in "The Queen Ant." Script by Robert Kanigher and art by Alex Nino. Cover price $0.20.